In the first three months of this month, I have had the privilege (and I would also call it also a personal and familial/community responsibility) to speak on quite a few very controversial issues for media (print and radio). In many of these pieces, I was selected to speak as a representative of my cultural community, a job I took wearily and with precaution. Looking back on the many pieces, I have to admit they weren’t all great interviews, and subsequently not all of what I wanted to say was published. Indeed, for most of them, where I would spend 20-30 minutes on the phone with the interviewer and often times 2-3 hours in preparation for what to best say, at most one or two lines would be used. Many times those lines would be what lawyers call, obiter dicta (side points in passing), rather than main points. In some of these pieces, my thoughts did not become the primary narrative. Radio is even more difficult. Going into these interviews, you have an agenda of where you want the conversation to go, but the interviewer, station, and other interviewees can take the topic entirely different directions. I felt that way especially with the CBC Early Edition piece, where the Professor I was speaking alongside wanted to focus on the technical/diplomatic relationship between Canada and China, where my gameplan moving in was to try and destroy the relevance of that macro-level, trade relationship to most of our day to day lives as Chinese-Canadians just looking to get more politically engaged. I was worried that this story would define us/serve to divide us rather than allow us to pour attention to the progress/challenges we face at home in an election year. Unfortunately, to-date, this conversation as continued to go that way, and again the blindness of the Chinese-Canadian struggle/need to organize continues. In my work and in my mentorship, and thanks to advice from incredible mentors, I’ve started to pass on my interview opportunities to others (I’ve turned down my last four). Many times, it’s just a matter of sending an interview request off to a mentor or someone I feel more qualified to speak to an issue. It is my hope that more women, especially women of colour and Indigenous women, replace the white male-dominated pundit/talking heads we see too much of on our TV and hear and read too much of on our radios and in our newspapers. In that process of encouraging others to speak up and to present their views, I also do worry that they are prepared. It is not usual for people of colour and minorities to be more nervous and anxious about these interviews. For us sharing our perspectives exposes us to mix of external and internal pressures – not only from ourselves individually (for many, our greatest critic), but from our families (many of which told us to not speak up unless we have to) and our communities (often splintered/divided along several lines of migration, wealth, and regional difference). We cannot expect to be talking pieces for entire complex diasporic communities, but that is the expectation that those less in the know or those wanting to sell sound bites want us to be. We’re easy, quick, accessible, educated and can put in comments that raise questions and tensions. These are tensions for the most part (although with more journalists of colour, this is changing) journalists will not have to lose sleep over. Either their piece gets hits or it doesn’t – either it helps them get their next big story or attention, or it doesn’t. The consequences lie primarily on us, who have to go back to our communities, attend networking events, and be judged by the few words that were printed in our names. This is not to degrade the profession of journalism (one I admire so much) but rather to acknowledge that the written space does provide opportunity to hide behind corporate, editorial, or even what page and where it is published, ways. People will forget a bad piece from an author as soon as a good piece is written. People (especially those within our communities) will not forget when we shared our views, especially when they may have contributed to detrimental outcomes and we have to see each other once a week at Church, or at the same neighbourhood coffeeshops and community meetings. Furthermore, there are also some journalists (conversations about which I have had with other journalists) who will be writing with a very clear agenda about what they want to say. They have mapped out their piece as an essay with a conclusion, and their looking for their evidence in the form of your quote. Frankly, I hate this kind of journalism. I love the kind that presents the nuanced views and leaves me thinking there is another chapter or a bigger story to be told. I love when a journalist tells me they went out trying to write one piece, but another one emerged on paper that challenged their own perceptions. Finality often doesn’t exist in most contentious issues that draw attention, but pundits get paid to take stances and draw conclusions (as premature as they may be). Friends: be very, very careful of being utilized for your appearance and position (lawyer, person of colour, LGBTQ2+, professional) as a way for the journalist/opinion writer to meander and promulgate their own opinion through your words. You can say a whole 30 minutes worth but your one off-colour, or you ‘wish was off the record’ comment of honesty or internal debate or side chatter, will represent you and by extension the community. With that being said, here are a few (seven) tips that I have employed myself to share with those being interviewed for the first time. 1.Research, Research, Research: Research the topic inside out before you speak to the journalist. Memories fade, facts and figures that the journalists look to tie your comments to can be wrong/outdated/or not properly cited. My own personal rule is at least 1-2 hours prep per ten minute phone call. 2.Understand the Ethical Guidelines: Review the CAJ Ethics Guidelines and clarify beforehand whether the media you are interviewing for follows specific rules http://caj.ca/images/downloads/Ethics/ethics_guidelines.pdf – Depending on the source journalist standards may be different. Some are okay with publishing written email comments (my favourite, because I can cite and research). Others are okay allowing you to review quotes first before they publish. Others put a process for correction, after the fact. It’s good to know what the industry norms and standards are rather than to be caught off-guard. 4. Find Dry Run Partners/Debaters: Run through a few mock interviews with people you trust (and who you respect for their difference of opinion). I would do it not only with my spouse, but also with close friends at parties (who I would tell about upcoming interviews), and over the phone with trusted mentors. Sometimes, you may come from different views on a topic – that opposition is helpful. In a few cases, texts back and forth clarified that I shouldn’t do an interview. In another, I got valuable advice on the direction I should steer my interview. Speaking to someone with experience can really lessen the nerves and clarify the bigger picture often missed when questions are being asked that you are unprepared to answer. 5. Record Your Interview Yourself! I am not the best at this – but try and record (and ask for permission to record) the call at the same time you are being interviewed. At the very least take some typed notes as you speak so you have a record of what you said. Clarify exactly when things are ‘on’ and/or ‘off’ the record. A full record for yourself can be very important, especially if you want clarify something in your own social media post later or expand on points that weren’t published or gotten to. 6. Speak Your Truth, Presented Specific to You (With Caveats, As Necessary): I realize in interviews, many questions (particularly where the interviewer hasn’t yet done their homework in the same way you have) can be asked very broadly. It’s important to highlight your perspective and what you believe in, but it’s important to also put those important classifiers – this is what “I” believe, “I see the situation as,” “in my personal opinion only.’ It’s important to clarify when you speak as an individual (especially those with many professional responsibilities) and when you speak as a mouthpiece of an organization. I find that big sweeping statements such as ‘we’ or ‘our community’ or ‘most of us’ get picked up often and often times are only a partial picture of the point you are trying to get across. 7. Get Ready for Damage Control – If the quote in the preview or posted product isn’t exactly what you meant – it’s time to do damage control. I like to get ahead of stories and share it myself with a full summary of what my point was. On a couple occasions I’ve had to ask journalists to make some corrections, which they can if it meets their journalistic guidelines. I end off with a quote from Ta-Nehisi Coates which I think any of us stepping into the controversial arena of being interviewed by a journalist throws you into. I am very hopefully with the new, fresh, voices on both sides of journalism – both writing and interviewing. In this way, we’re able to have more intimate dialogues that go to the heart and depth of issues rather than superficial comments that leave surfaces barely scratched. Yet, in this age of populism and financial difficulties, there will still be a huge market of journalism aimed at and for those who want the sound bites, especially the colour sound-bites, to rationalize and justify their superiority and validate their biases, prejudices, and racism. I wish you luck in your interviews and look forward to the conversation this piece generates! Tomorrow, for the first time I am speaking on the topics of decolonization and intersectionality. I don’t think I have ever been as nervous for a talk. 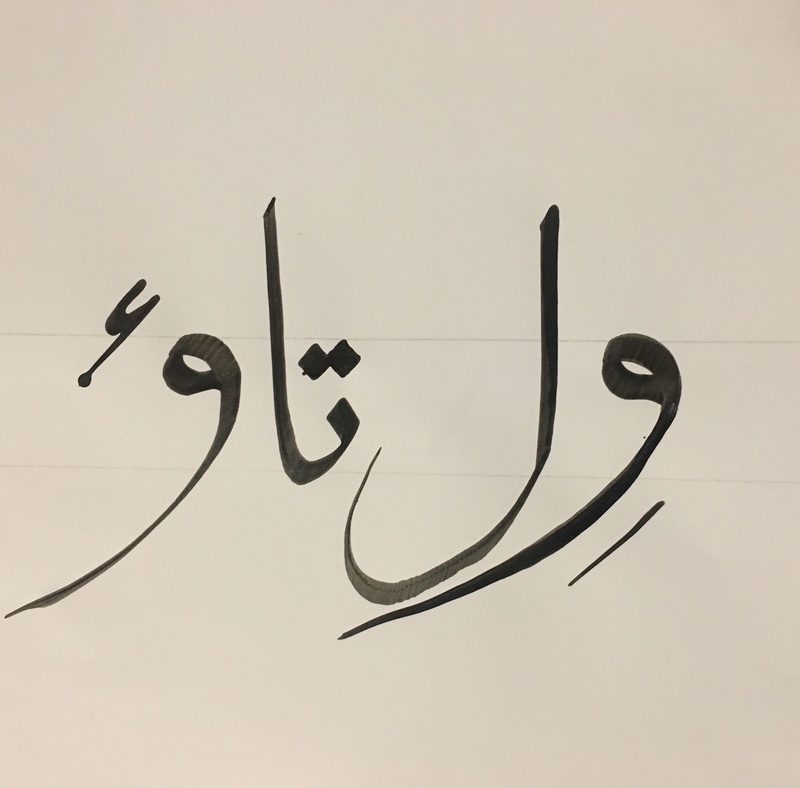 It is a topic I have been engaged in for the past several months, but it still feels to me a new term. However, there is some value into speaking to the newness and humility. That is why I eventually put my name forward and agreed to speak. It has been a long time coming. A year ago, I don’t think I could have spoke on this topic let along would I have put my hands up to even volunteer. The pathway to learning about colonialism, decolonization, intersectionality, racism, and discrimination in our society has been a difficult one. It has forced me to confront my own current role (and definitely my past roles) in perpetuating my privilege and my power in not only my ‘colonial work’ but in the way I may have approached community service. I lose sleep now in ways that I did not before – because I am exposing myself to my own shortcomings and the painful truths I conveniently avoided in years past. I am glad that it is slowly stripping away an ego that I think the process of being a lawyer almost inherently instills. I feel more humbled and I thank the learning I am doing and the social activists I am meeting for transforming me. This process has highlighted mistakes I have made in the past in this regard. For example, I donated money to a local organization on behalf of my law firm thinking I was doing good while simultaneously shirking a previous responsibility I had to that organization, as a volunteer. I realize that I was donating to cover up my own guilt and that goes against the very principles of decolonization that I am now learning about. A second mistake I made was for a long time this law blog had an Indigenous logo that a non-Indigenous friend designed over. That appropriation of culture was entirely inappropriate. Even now, I am aware my logo is Indigenous and I am not – something I need to be extremely careful about as I consider the direction my blog goes and the societal/policy issues we engage with. I think that by engaging an Indigenous artist Diamond Point, we’ve made a step in the right direction but Indigenous recognition – much like, can very easily turn into lip service with no corresponding action. All this to say – I don’t get to become an ally – just by reading a few pieces and attending a few workshops, giving a few talks, writing a few tweets, and making a few donations. Becoming an ally requires an investment in time, but more importantly a humility that this is a fight I care about but a fight that ultimately I need to support my Indigenous brothers and sisters in. I need to advocate but more importantly listen and be present when listening. I had a colleague tweet in reply, not so long ago to a post of mine, that I also needed to show sensitivity when talking about things such as the residential school experience or the experiences of Indigenous women, as the very bringing up of these themes could be triggering to them. As lawyers, we love to talk, to write, to share. It almost seems like the test for good advocacy is whether you have been to Court recently, what level of Court, what policy issues, and what media opportunities. The first two months of this year gave me some incredible platforms but frankly I did not do enough to use those platforms to shift conversation or give light to underrepresented and more deserving voices, especially Indigenous voices. Indigenous issues are still so peripheralized and othered in mainstream media – through a lens that more often than not dehumanizes. We seem more engaged with global events that have little effect on us, but that generate clicks and false outrage, than we do with local suffering that we are all collectively responsible for as settlers on stolen land – which should generate real outrage. It is as if those problems are our Government’s and that ‘reconciliation’ has solved all problems. From what I am seen and heard, it hasn’t even begun to scratch the surface. When it comes to tomorrow’s talk on decolonization and intersectionality – I plan to share with these young impressionable minds of the amazing RADIUS program I am speaking to – my journey and my stumbles. I also very much aspire to this idea that decolonization cannot be a metaphor for general social change, social justice, and anti-colonialism/oppression. If we water down decolonization, or worse yet, forget decolonization needs to come hand-in hand with indigenization (and not just of mind and rhetoric) – we may do more harm than good. I am also aware that this process will involve ceding of power, privilege, and land. Anything else, and it turns again into rhetoric and feel good excuses for our continued settler privilege and justifications for modified colonal appetites. We also need to come to global understandings of indigenizing that also doesn’t allow for the term to become homogenization. Canadian indigenization – and where it comes from is historically grounded by systemic and full-scale wrongdoing that sought to wipe out Indigenous culture. Indigenization in another context, for example a country that believes in protecting and preserving one’s indigenous roots at the expense of newcomers or racial intermixing, can become problematic and the basis of racial/ethnic supremacy. I think the position we come from and the model we develop in Canada will be very unique and we have to be careful to reconcile that with other world views and with the world view of newcomers. Introducing Indigenous issues and history to newcomers will become a major priority of mine, once I go through my own learning process. On the topic of intersectionality, we need to also develop a Canadian model that takes into account Indigenous women, as a foundation for our BIPOC perspective. Indigenous and two-spirited women have had their identities marginalized and it is routed in the aforementioned colonial policies. Decolonizing will help highlight and tackle intersection issues. Parallel, and simultaneously, we need (and I am grateful we are starting to see) the rise of powerful women entering newsrooms, media, politics, law, and other area of influence to highlight the structural, political, and representative intersectionality that marginalized and minority women find themselves in as a result of the narrowed patriarchal lens which creates male-dominated viewpoints or allows on some women in on our major conversations. Our Canadian understanding and study of this concept is so behind, that on major issues – such as Karen Wang and recently, Jody Wilson-Raybould, – no one even brings it up. This gap in analysis (coupled with the consistent racelessness and neoliberal ‘multiculturalism’ espoused by those in positions of power) wipes out the experience of women of colour. This is unacceptable and as a man of colour, I bare my share of the blame for not tackling our own community stereotypes here. To conclude, where I started, I’ve been thinking a lot about these issues, but I am not an ally (yet). I don’t get that label easily. I may never get it. I need to be listener, a repenter, and learner, a more humbled down human being. I need to use my voice and rather than sit silently while I watch the narrative be shifted, use my voice and privileges to shift the narrative to places where we need it to go. Some of you will be sick and tired of me writing about race, taking as comedian Aamer Rahman wrote about “white person this, white person that.” On this point, I want to share the recent writing of Sandra Inutiq in her piece Dear Qallunaat. The headline says it best. Even as a non-White settler, I have benefit from it too and I need to be more aware of this. Similar and parallel systems that made my ancestors Han Chinese and scholars in China from (my late father’s side) relative affluence and education made me benefit there too. It’s time to strip away ego, recognize and admit privilege, and cede power and land back to our Indigenous brothers and sisters. In the process, I trust that the empowerment and deconstruction of barriers for BIPOCs will naturally occur. Canada will be a more equitable, equal, and truly diverse place. I would like to Acknowledge that we are on the unceded, traditional territories of the Coast Salish Peoples – the Squamish, Musqueam, Tsleil-waututh. It is the resilience of our First Peoples, in the face of adversity and historical and on-going discrimination that inspires us to continue to strive for reconciliation. I ask that we draw on their collective wisdom, the wisdoms of the ancestors of this land, as we gather in our own circle here today. Friends, name is Will Tao. Pronouns: he/him/his. I am the Chair of the Cultural Communities Advisory Committee. I am so grateful to be able to provide brief statements to open up today’s packed agenda of events. For those that don’t know about our Committee we are a 15-member volunteer advisory committee. Our mandate is to enhance access and inclusion for Vancouver’s diverse cultural communities. Over this present mandate, we have played important roles on some of the City’s major projects. 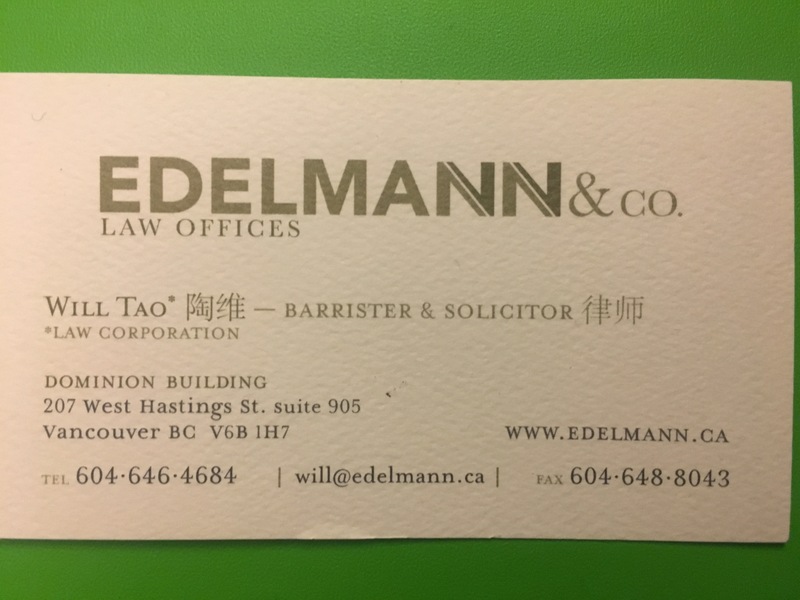 We’ve been part of the Vancouver Immigration Partnership, assisted in drafting the Apology for the Historical Discrimination Against Chinese Project, been part of the Mayor’s Working Group on Immigration, The Assets Naming Committee (who I add just did a fantastic job naming several City assets)!, among others. 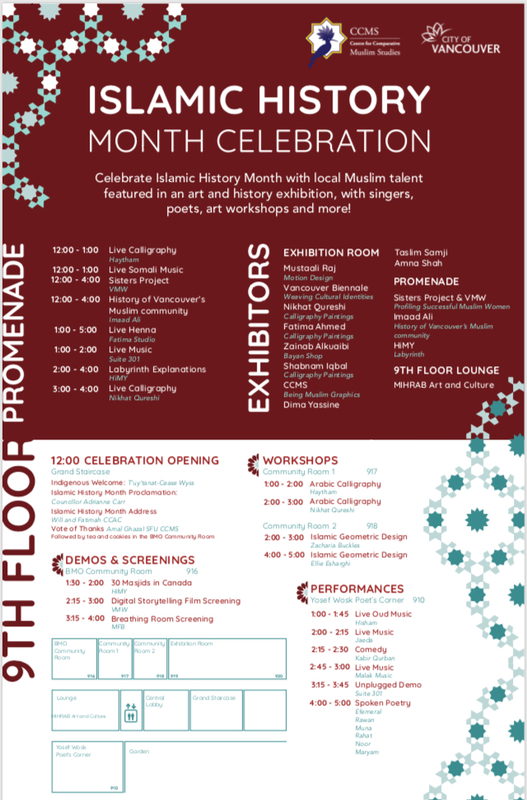 We are particularly proud of our Committee-driven initiatives, from the Spaces survey studying challenges in securing ethno-cultural spaces, to hosting the City’s International Day for the Elimination for Racial Discrimination, to our Voices of Vancouver statement, and to the exciting Islamic History Month, the city’s first, coming up on October 27th. If you have any questions about our Committee’s work, I ask that you approach our Committee members. We have seven members here today – almost quorum (joke for all of you who do advisory work). Today, marks a continuation of our efforts to ensure that diversity is more than a check mark. Today marks our first meeting of the 3.5 half years I have been on this committee – held outside City Hall. This brings me to the heart of today’s conversation – the Punjabi Market Community. One member of our Committee told me a few days back that this would be nostalgia for her. As a kid, Punjabi Market (like for many of the community members in this room today) was their backyard. A place to shop, to eat, to spend those cherished family memories that today we look back fondly on. This is a special community that stands for resiliency over time. That stands for everything great about our City and our people. It is our past, present, and future, all rolled into to one diasporic dosa. When community members Ajay Puri and Gulzar Nanda, whom I will introduce momentarily, asked to attend a CCAC meeting a few months back and told us they needed our help. We immediately heeded their call. Their passion for this neighbourhood – tied into their honouring of the legacy of their forefathers is an inspiration to all of us. I see our role today not only to share our own experiences and advice but to be active listeners to what this community wants us to hear as it heads to its half-century birthday in a mere two years. I would like to close my brief remarks on just one more point. For those that may not know, I have been adopted into a Punjabi-Sikh family myself. Had a traditional Punjabi wedding (even though my partner is Chinese). Spent hours in prayer at the Ross Street Gurdwara reflecting on God’s good graces. I love the expression of Chardi Khala and how it ties in to work today. Chardi Kala teaches us that even through difficult and trying times, that some of us may be facing be-it through life, work, paying rent, affording to run a business on 49th and Main, that we are all interconnected with one another. That our work here is for more and greater than our own selves and our own ambitions. This community’s fate and future is our fate and future. By being here you have stepped into the shoes of this community for the evening, and have left your shoes at the door. Having stepped in it, it is not simply good enough to come back once every four years. You are bonded as well all are. Today, let’s choose to face this challenge of community building with eternal optimism and positivity – Chardi Kala. Thank you for all being here. Growing up on the west side, Main Street was already considered too far East. I had very few South Asian classmates in high school. In University I was blessed to meet Davinder Sethi and his family who took me. Later. I studied South Asian migration and took Dr. Oberoi’s South Asian Beyond South Asia Class. It was also during this time I was first exposed to the Punjabi Market. Davinder and I filmed an intro video to our Asian Representation in Politics course featuring Kohli’s and what was then Guru Bazaar. For the past ten years, I will have to admit I lost touch with the Punjabi Market. I went to Pabla’s maybe twice. Even moving to South East Vancouver in April, I stayed within the confines of Fraser St. on the West and Victoria Drive on the East. Recently, I was very fortunate to have two special individuals enter my life – Ajay Puri and Gulzar Nanda. They took not only the initiative to meet with our Committee but both took initiatives to meet with me individually. With Ajay, earlier this summer, we walked around City Hall talking about his engagement work. In mid-summer I met with Gulzar over coffee, bringing Davinder and hearing their stories of growing up in the neighbourhood. Both Ajay and Gulzar share commonalities with me. We’re all around the same age. Both of us have lovely partners (clearly better 1/2s), all three of us have lost a parent. I am so grateful for their passion for this City and their neighbourhood and that they were willing to welcome me into their networks with open arms. This brings me to the picture above . 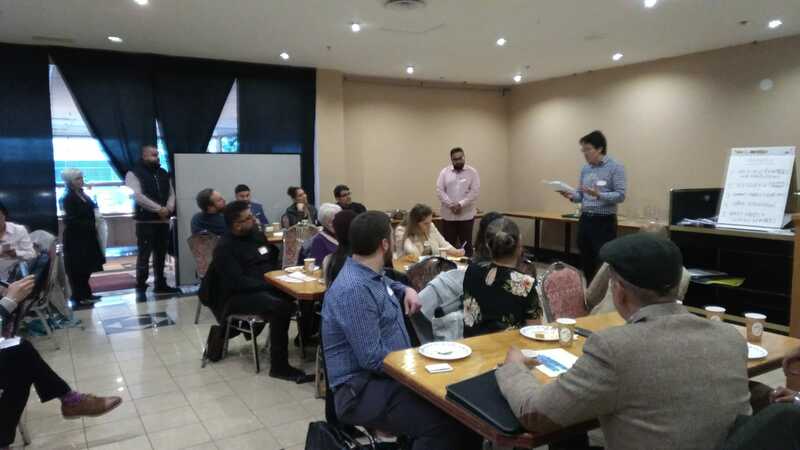 The Cultural Communities Advisory Committee decided to host its first ever meeting outside of City Hall in the Punjabi Market thanks to the work of Ajay and Gulzar. The tour of the Market was incredible – I learned so much about the history of the businesses, the art work, and some of the changes in the works. The Forum was equally aspiring, particularly the participation of the neighbourhood elders who were eager to engage with youth, sharing their wisdom while appreciating the young energy. I think some of the ideas that were recommended can be implemented very soon. I cannot wait to see what the next Diwali, a possible mural festival, and Indian cooking/dance classes will look like. I will certainly be there. Now that we have these ideas, its time to start implementation. We have a host of really talented political candidates, who (whether elected or not) appear ready to ensure this neighbourhood is not forgotten for another four years. As I said in my speech – I definitely view these next years with a sense of chardi kala.